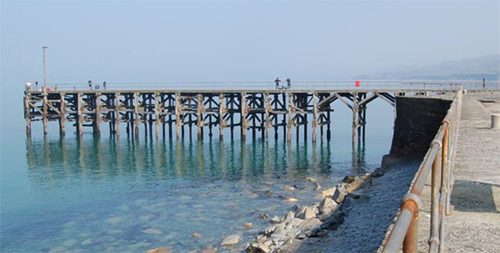 The first phase of this project assessed the mineral harbours of Penrhyn, Caernarfon and Portmadoc, and the local trading and fishing harbours of Pwllheli and Barmouth. The second phase examined the Edwardian borough harbours of Conwy, Criccieth, Harlech and Beaumaris, and the remains of the slate harbour at Port Dinorwic. During the project it became evident that the results from each harbour were more meaningful when put into a wider context, for example looking at the tidal reaches of the River Conwy with the harbour of Conwy; the location of Beaumaris in relation to Llanfaes, and the harbour at Ty Gwyn in relation to Harlech. The third phase of this project has assessed the harbours of Aberdaron, Aberdyfi, Pensarn, Trefor and Ynys Cyngar. Aberdaron was chosen as an example of a small port which, by necessity, served a wide hinterland and also supported a local fishing community, but which never developed harbour facilities because of its lack of shelter. Aberdyfi was of greater importance as a regional port at the mouth of the Dyfi, serving a significant hinterland. Though it never developed as an industrial harbour, it does clearly exemplify the shift from a pre-industrial harbour served by poor road inland communications to rail/sea communication with engineered infrastructure. Pensarn is typical of sites that can be identified as medieval in origin, but with little subsequent development until the 19th century when improvements were made to the quays to serve small scale local industry and agricultural improvements. The lack of infrastructure from pre-industrial periods means the identification of archaeological remains from earlier times is rarely possible, but this study shows that an examination of topography and landscape change can reveal evidence for earlier origins. Ynys Cyngar was the small forerunner to the slate harbour of Porthmadog, and is included here as a complement to the earlier study of the later port. Trefor is an interesting example of the development of a quay to serve a significant local industry in an area that would otherwise be considered too inhospitable to warrant any development. This is the best surviving example of several quays that were formerly built along the north and south coasts of the Llŷn Peninsula to serve the granite quarries. Stone setts were taken from here to the major industrial cities and towns of northern and western England, and thereby made a significant contribution to the character of the industrial towns of the 19th century. The project identified the extent and significance of the remains and provided management recommendations. The first phase of this project concentrated upon the desk-based compilation of data using the Historic Environment Record, National Monuments Record and Listed Buildings reports. Initial databases were compiled from these major sources of data. Field visits were undertaken to each of the harbours, and the results incorporated into the database. Subsequent analysis and interpretation phases and report compilation were undertaken.